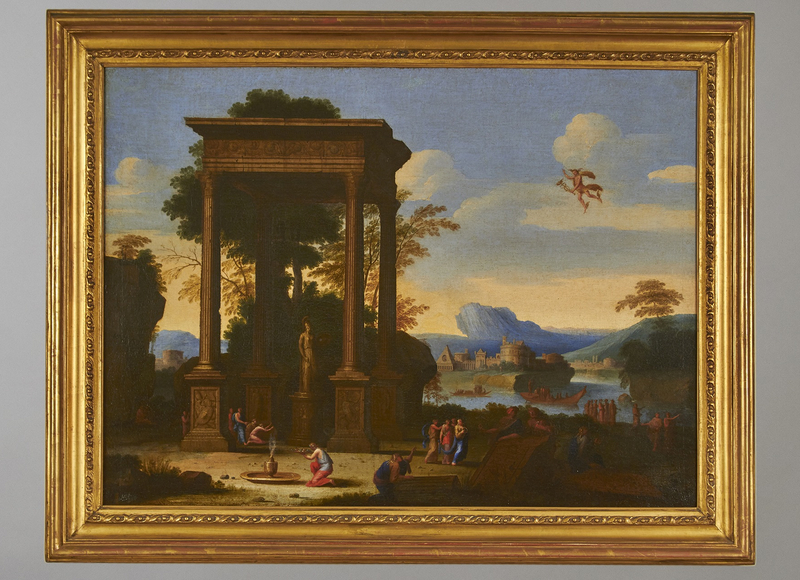 A fine pair of 18th century or earlier Continental classical landscapes in the manner of Giovanni Paolo Pannnini (b. Piacenza 1691, d. Rome 1765). 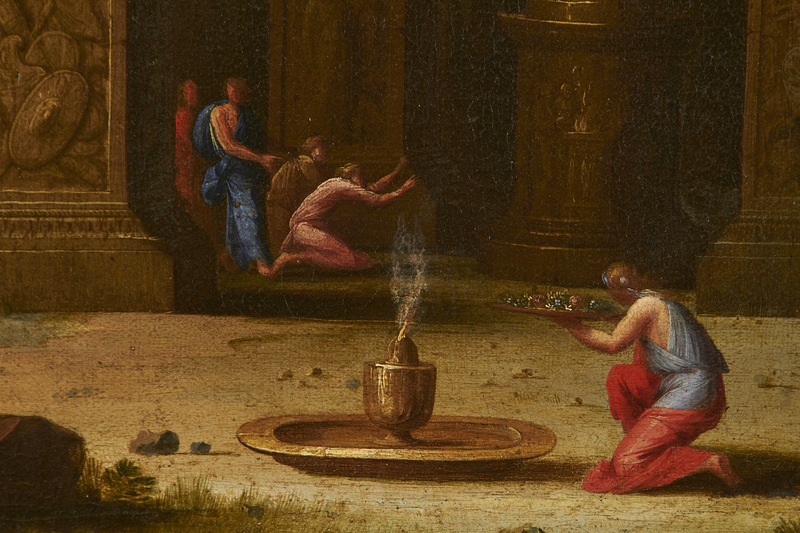 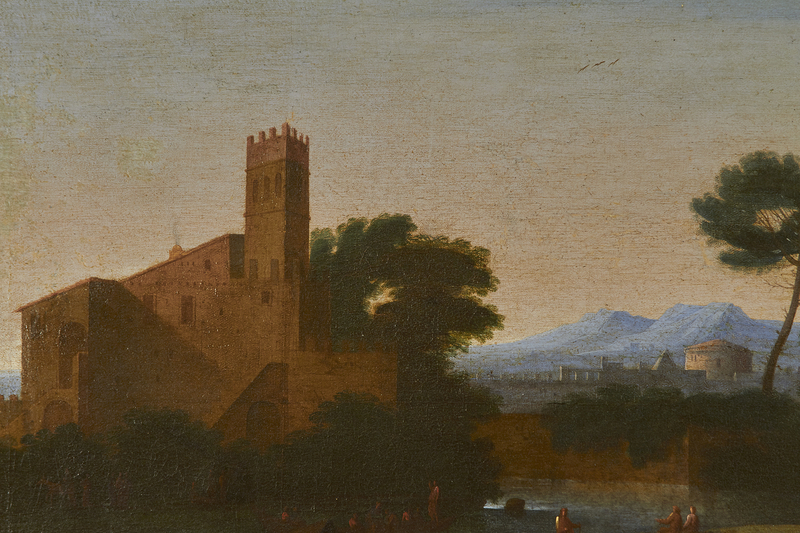 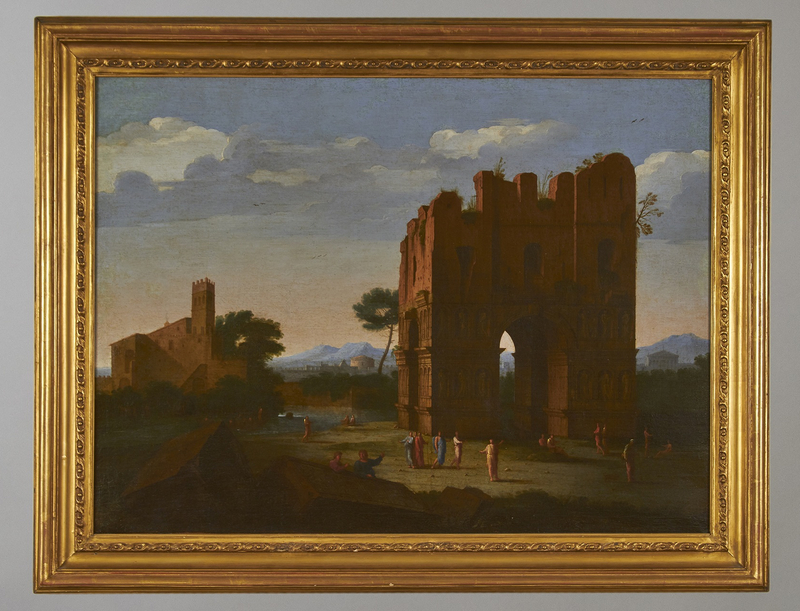 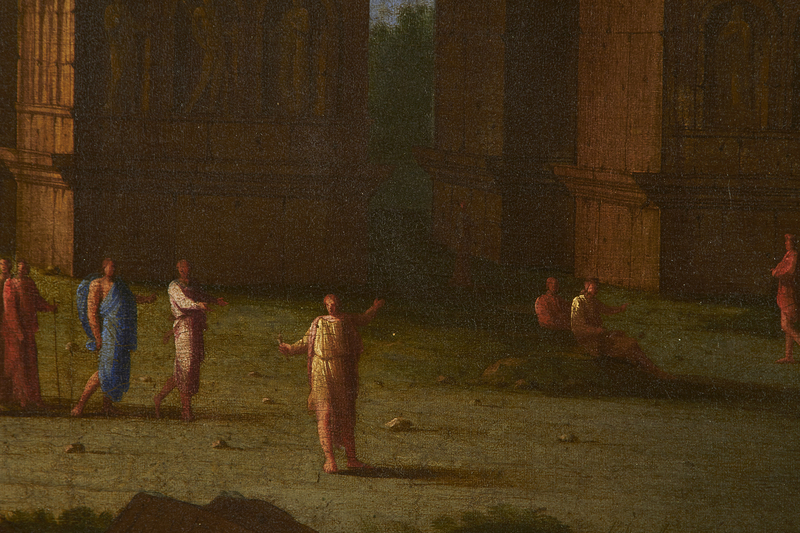 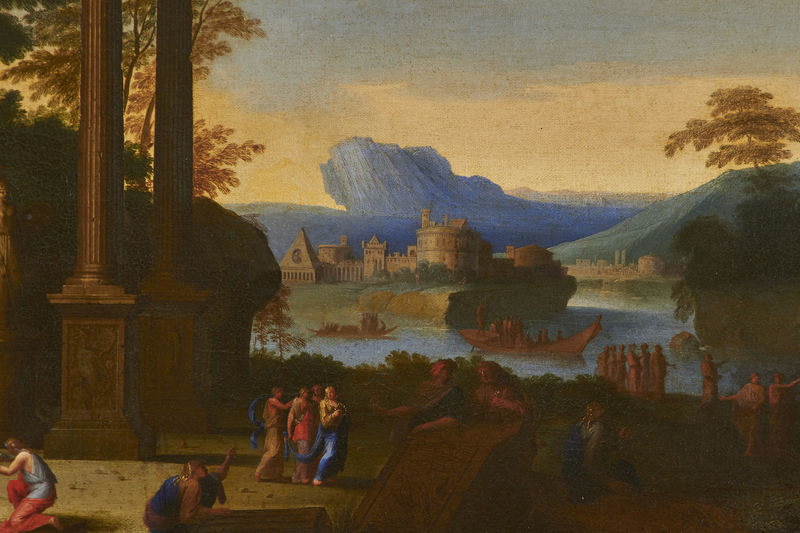 Elaborate unconfirmed provenance on verso of paintings with attribution to Claude Lorrain. 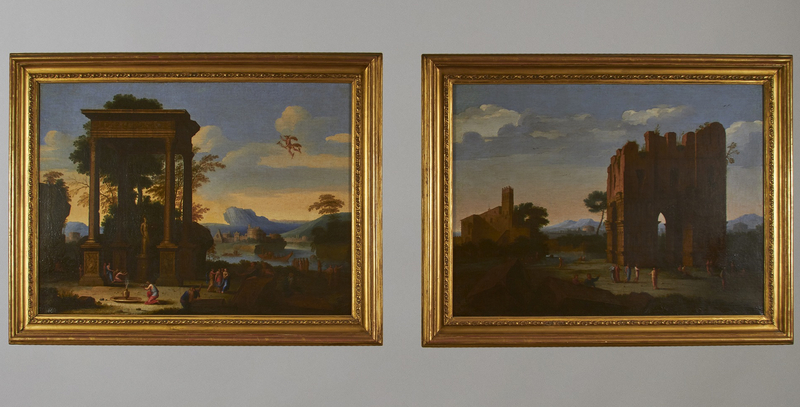 Old relining, some inpainting.